Remembering where you parked your car can be a real drag when you’re out an about. Maybe not when you’re just running to the local grocer but imagine when you’re parking in huge festival lots. The Automatic Parked Car Finder will help you locate your ride no matter how big the lot. The device plugs into your car’s power outlet and when you park and cut the engine, it automatically marks the spot on your phone’s built in map app. That way you can just look right at your phone to figure out where your car is. No more taking pictures of signs just in case you forget. It also has date and time stamping so that you have a built in reminder for when to feed the meter. 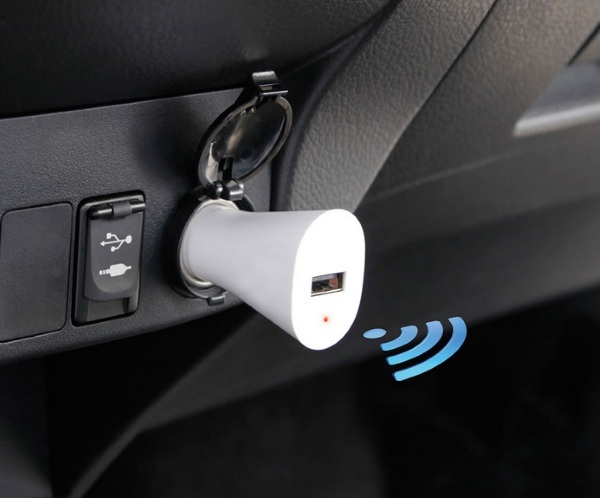 This would also likely be handy if your car was ever stolen. The Car Finder looks like a USB charger (also, there’s a USB charger built in) so it’s unlikely the thieves would think to pull it. When they park the car, it will tell you exactly where it’s at. Unfortunately, it seems like this only works with the iPhone. The Automatic Parked Car Finder is $49.95.